I have to admit that for all my years of exploring New England, Vermont has definitely gotten the short end of the stick. For whatever reason, my family has stuck to the coastline mostly, but we’re working on remedying our neglect of this gorgeous state, one destination at a time. Recently, Okemo Mountain Resort in the tiny town of Ludlow came onto our radar and I found it to be a fantastic family spot. Just three hours away from Boston, getting there for a weekend away is a snap. Accommodations range from one-bedroom rooms to three-bedroom suites with full kitchens. The best one for families is the Jackson Gore Village, at the base of the mountain and in the center of everything you’ll probably want to do. You can park your car and forget about it the whole time you’re there. Bonus in winter: there’s underground parking. The ski lifts are just outside the door and there are a variety of children’s ski and ride programs for kids even as young as two. Besides skiing and snowboarding, there’s plenty to pack in during a visit, including an indoor/outdoor pool (with three hot tubs), an ice-skating rink, snow tubing hills, and snow-shoeing trails. Perhaps the most unusual offering is the Timber Ripper Mountain Coaster, which races through the woods on a winding track like a roller coaster and reaches speeds of 35 miles per hour. Don’t worry: you can control the speed! Okemo offers two separate and excellent evening programs for kids every Saturday night in winter, Kids Night Out for children ages 6 months to 6 years and Kids' Night X, for ages 7 to 12 years. The younger kids go to the property’s fully state-licensed and staffed child care facility for movies, pizza and activities. Older kids enjoy get to enjoy both indoor and outdoor activities, which might include swimming and ice-skating. If you do feel like venturing away from the property, Ludlow is fun to explore, with a few shops and restaurants to check out. Locals will recommend a visit to Singleton’s General Store (just outside of town), where you can pick up delicious cob smoked bacon, maple syrup, and other Vermont goodies to bring home. It’s worth noting that Okemo isn’t just a winter destination; it’s a four-season property. Activities in warmer weather include, besides hiking, the mountain coaster, a zipline course, miniature golf, Segway tours, disc golf, trampoline bungee jumping, and a climbing pinnacle (plus there are two 18-hole, championship golf courses). Coming this summer, there will be a new aerial challenge course with obstacles that stretch from tree to tree. After being clipped onto a safety line, you make your way around a self-guided course with obstacles varying in height and difficulty including zip-lines, a net traverse, rickety bridges, monkey vines, a log crossing, plank bridges, rope bridges, and more. If you've packed up your tent until next spring, you might want to reconsider. 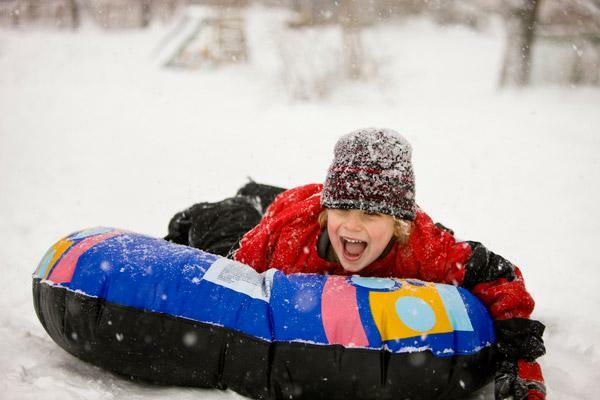 Winter offers families another season—and another world—to explore through camping. 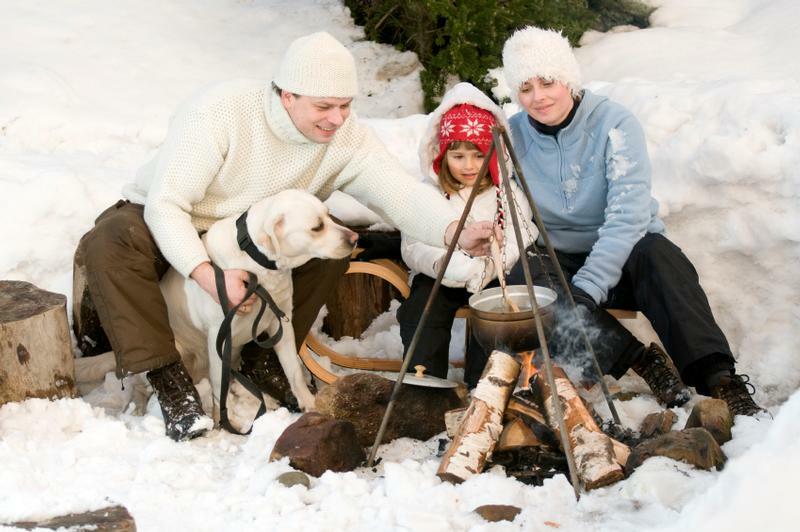 From tracking animals to building snow shelters, a dozen ways to enjoy the cold.